Bacillus Subtilis is also known as hay bacillus or grass bacillus. It is a gram-positive bacterium found in soil and the GI tract of ruminants and humans. 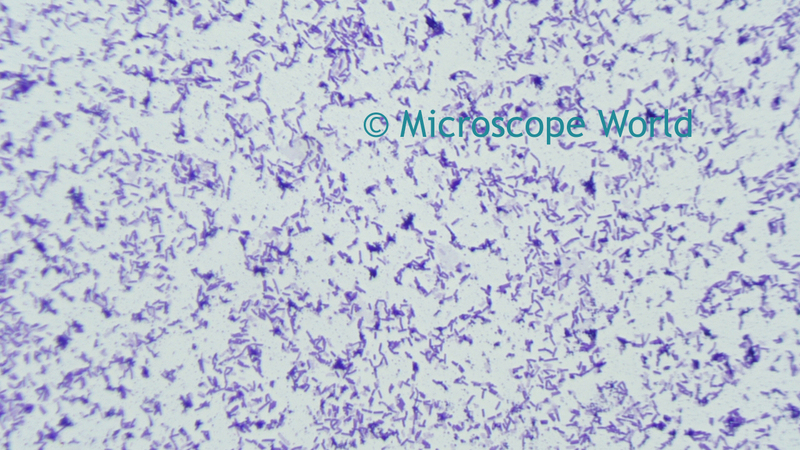 Bacillus subtilis is rod-shaped and typically 4-10 microns long. This bacterium can form a tough, protective endospore that allows it to tolerate extreme environmental conditions. 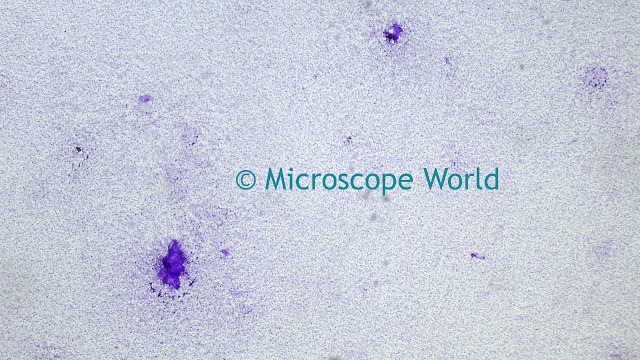 Bacillus Subtilis captured under the U2 biological microscope at 40x. Bacillus subtilis is considered one of the best studied gram-positive bacterium and a model organism for studying bacterial chromosome replication and cell differentiation. It is one of the bacterial champions in secreted enzyme production and is used on an industrial scale by biotechnology companies. 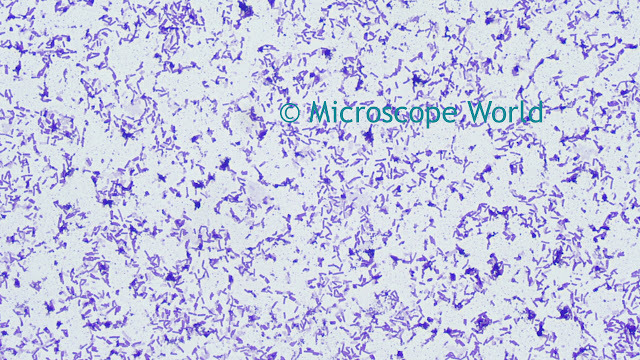 Bacillus Subtilis captured under the U2 trinocular microscope at 100x. Commonly found in the upper layers of the soil, bacillus subtilis can divide symmetrically to make two daughter cells (binary fission), or asymmetrically, producing a single endospore that can remain viable for decades and is resistant to unfavorable environmental conditions such as drought, salinity, extreme pH, radiation and solvents. Bacillus Subtilis captured under the U2 biology microscope at 400x. Bacillus subtilis is only known to cause disease in severely immuno-compromised patients and can conversly be used as a probiotic in healthy individuals. The bacteria rarely causes food poisoning. 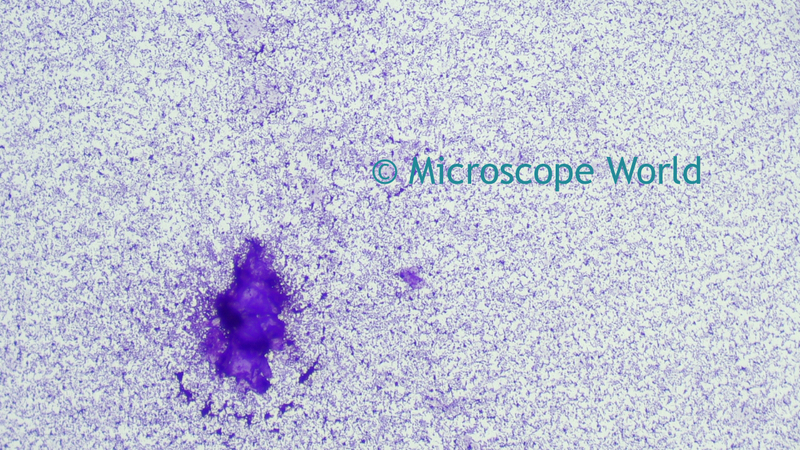 Bacillus Subtilis captured using the Plan Fluor 40x Microscope Objective on the U2 microscope.